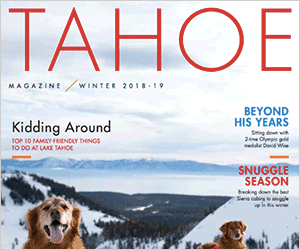 The article stated that library patrons expressed hope for town control of operations as then “Truckee would be able to construct a newer, bigger facility.” Actually, there is widespread support for building a newer, bigger library regardless of whether the Town or County control operations. For example, Mayor David Tirman and Town Manager Jeff Loux expressed the Council’s and staff’s support for moving ahead with a new library facility in their concluding remarks at the end of the Council’s deliberations on the feasibility of taking over the library. I believe this important information should have been included in the article. At the same Town Council meeting, council members also supported the staff recommendation that Regional Park be the site for a future library/community center. Friends of the Truckee Library is delighted with Council’s support for a new library in Regional Park and are optimistic that final negotiations between the Town and the Truckee Donner Recreation Park District will bring this goal to fruition. The Friends of the Truckee Library has been working hard to build public awareness and support for a new library. Our community deserves to know we are moving forward with our vision with the Town’s support.